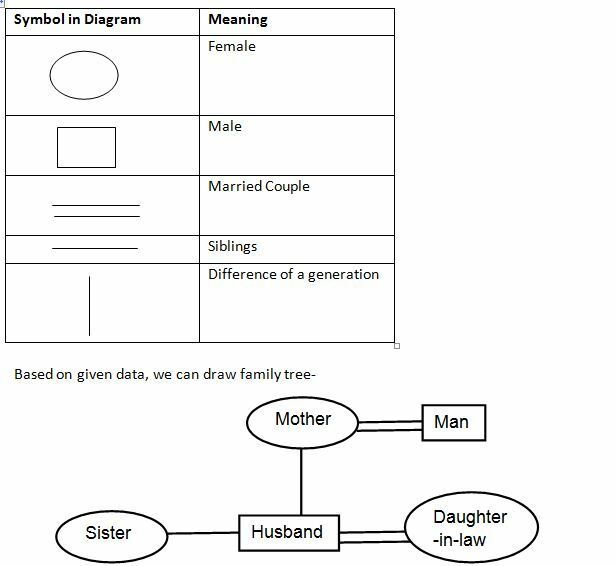 Welcome to Online Reasoning Test in AffairsCloud.com. We are starting Cumulus Course for IBPS Clerk 2018 Prelim Exam and we are creating sample questions in Reasoning section, this type of Question will be asked in IBPS Clerk 2018!!! 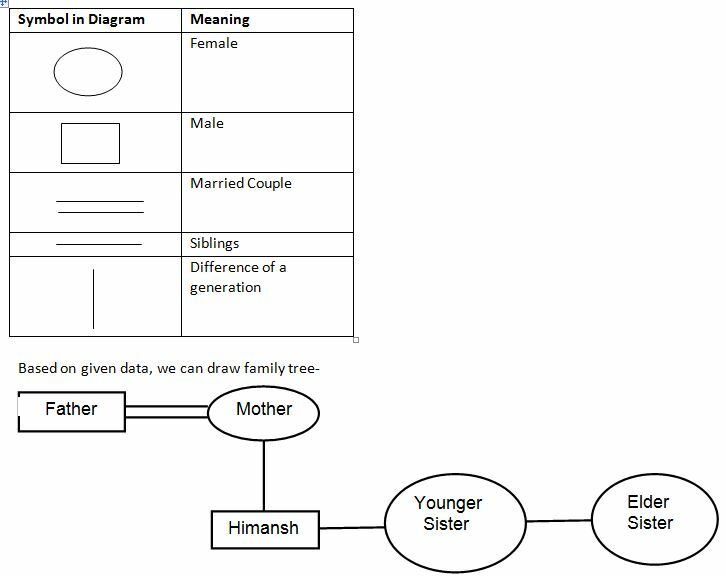 Himansh said to Nikhil, “The girl playing with the football is the younger of the two sisters of the son of my mother’s husband.” How is the girl playing football related to Himansh? 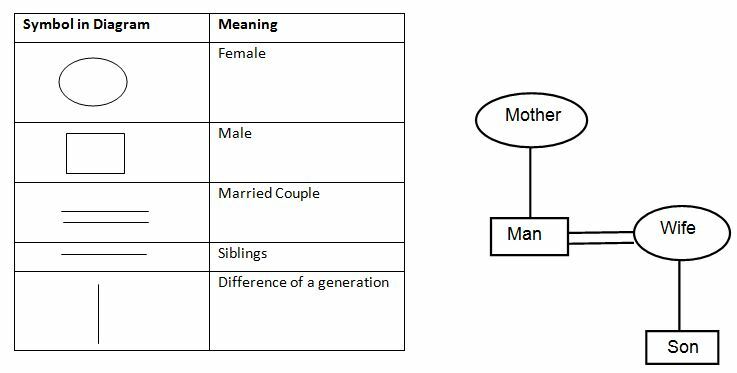 Pointing to a woman in a photograph a man says, “She is the mother of the father of my wife’s only son.” How is the woman related to man? Pointing to woman in the photograph man says, “She is the mother of my daughter-in-law’s husband only sister.” How woman is related to man? Jack introduces Mary as the daughter of the only son of my father’s wife. 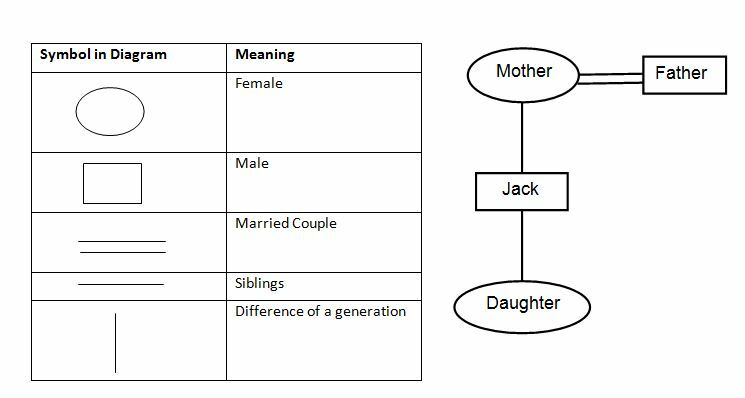 How is Mary related to Jack? Dhani’s father pointing towards a person, said ”He is the brother of my father’s only sister”. How is the person related to Dhani? 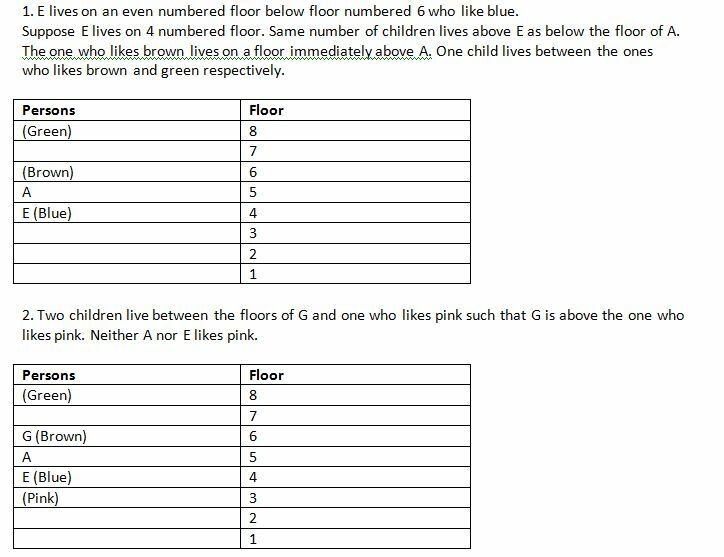 Eight children – A, B, C, D, E, F, G and H live on eight different floors (numbered 1 to 8) of a building but not necessarily in same order. Each one of them like different colours viz. Red, Blue, Green, Brown, Pink, Yellow, Black and White but not necessarily in the same order. E lives on an even numbered floor below floor numbered 6 who like blue. Two children live between E and one likes yellow. Same number of children lives above E as below the floor of A. The one who likes brown lives on a floor immediately above A. One child lives between the ones who likes brown and green respectively. 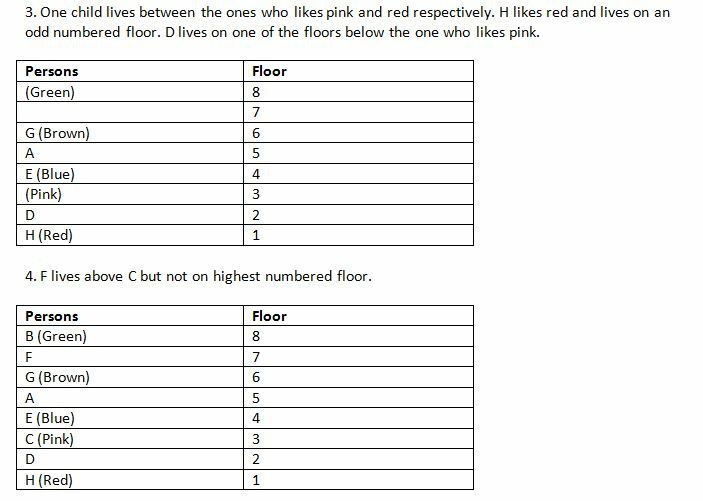 Two children live between the floors of G and one who likes pink such that G is above the one who likes pink. Neither A nor E likes pink. One child lives between the ones who likes pink and red respectively. D lives on one of the floors below the one who likes pink. H likes red and lives on an odd numbered floor. F lives above C but not on highest numbered floor. A did not like black. How many children live between A and H? Who among the following lives on floor number 3?